Being a reputed name in this business, we are engaged in manufacturing, exporting and supplying of Fibre Rich Aloe Vera Juice from Jaipur, Rajasthan. Our Fibre Rich Aloe Vera Juice is formulated by using finest quality ingredients and advanced technology. Due to its medical values and qualities, Aloe Vera is considered as king of medicines. We have large distribution network so we can easily provide Fibre Rich Aloe Vera Juice all over the country and overseas as well. Fibre Rich Aloe Vera Juice is very nutritious and caontains ionic minerals, vitamins and folic acid. It is essential to keep the body fir and healthy as it contains vitamin A, B1, B6, B12 and C. Fibre Rich Aloe Vera Juice and gel have natural ingredients to keep joints and muscles healthy. Aloe Vera also contains very effective antioxidants, antibiotics and anti sugar properties. It also contains seponin that helops in killing the germs and cleansing of the system. Drinking of Fibre Rich Aloe Vera Juice get rid of many disease like air borne infection, stomach infection, joint pain, ulcers and acidity. It is also considered as blood purifier and effective in healthy digestion. Regular usage of Aloe Vera get for continously 90 to 120 days helps in controlling diseases lke arthritis, asthma, diabetes, heart problems high/ low blood pressure, gastric problem, constipation, obesity, ulcer, lack of energy, thyroid, kidney problem, back pain, cervical pan, parkinson's colitis, stress, depression, cholesterol skin problems and even cancer. Regular usage of Aloe Vera in any form leads to better skin. It also increases the antibodies and blood in the body. It also helps as anti aging and weight control medicine by increasing the hemoglobin levels in the body. 90% of the diseases in the body are due to bad digestive system. Various elements present in Aloe Vera helps in cleansing the intesting and improving constipation. It also increases the protein absorption capability of the body. It also helps in keeping teeth and gums healthy. Daily intake of 20-30 ml of Fibre Rich Aloe Vera Juice improves the immune system. it is one of the most effective and natural medicine and tonic to keep body healthy. its juice rejuvenates the body, increases the energy levels and maintains the weight. It also helps in maintaining sugar levels in the body, keeping skin hydrated, increasing the collagen and elasticity of the skin making it look beautiful. Aloe Vera is also called the miracle plant because of its multiple health benefits. Almost all areas of your body get benefitted with continous usage of Fibre Rich Aloe Vera Juice. 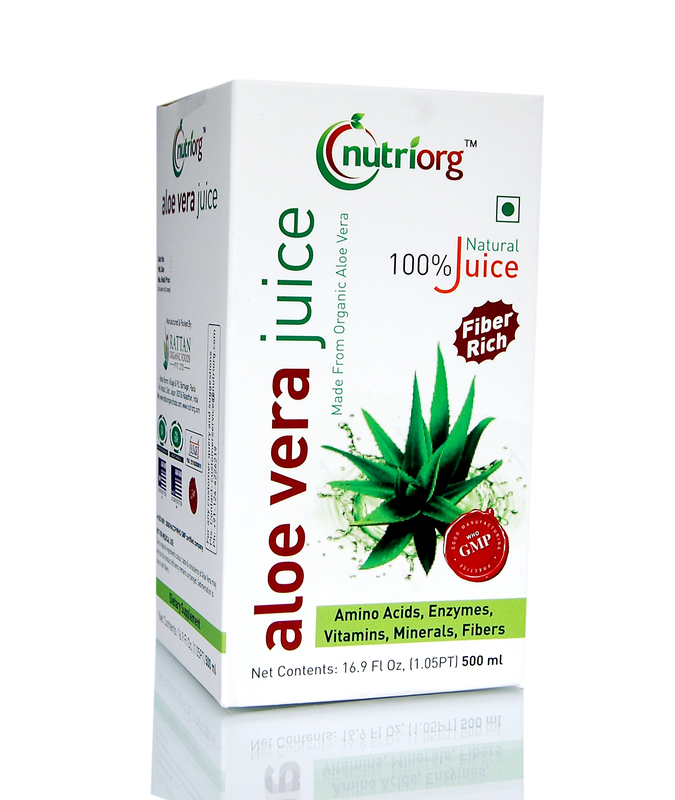 Fibre Rich Aloe Vera Juice helps in : Helps in intestinal and digestive problems. Boosts immunity. helps in dermatitis (skin inflammation). Excellent for female reproductive system. Helps in respiratory or breathing problems. Very effective to reduce the blood sugar levels. Improves oral and dental health. Quantity To Be Taken : 20-30ml of Fibre Rich Aloe Vera Juice twice a day is recommended to avail all benefits. It is advice to take Fibre Rich Aloe Vera Juice empty stomach in the morning and avoid taking anything 1 hour before and after its consumption.